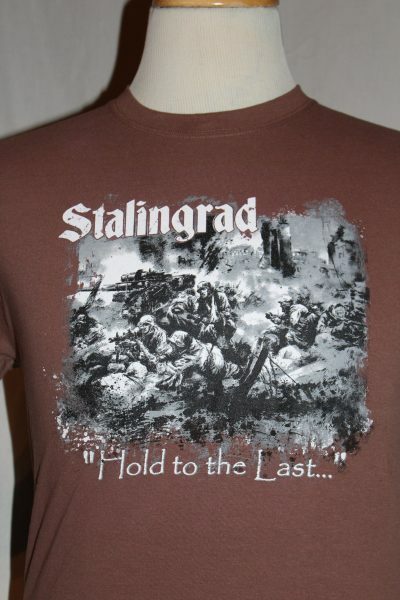 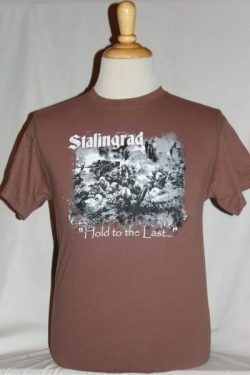 The Battle For Stalingrad T-Shirt is a two sided print in the chestnut. 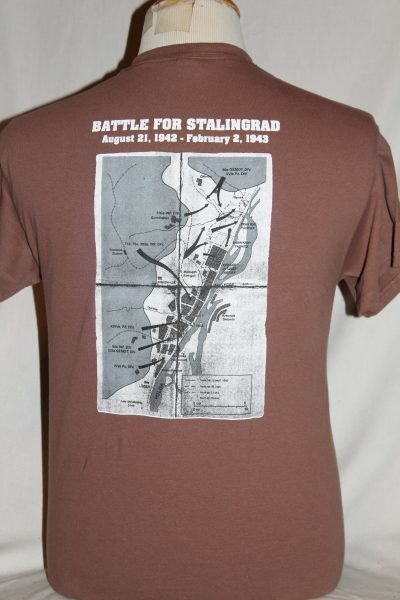 Front Design: Street fighting scene with an 88 gun, MG42 machine gun team, and text. 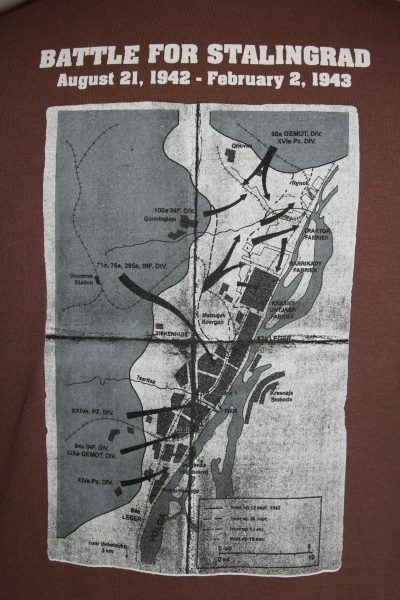 Back Design: Map of battle area with location of various divisions.